I hope you have had a wonderful month. I just wanted to write and tell you why I have been absent from this site for a week or so… Things have been crazy over here at Novel Ideas, and I will be replying to all your emails and letters over the next few days. I was slightly shocked to find over ONE THOUSAND emails in my inbox… BUT I will work through them and I will respond to each and every one of you. The number one thing you have asked me is about the condition of the traditional publishing industry. There is no easy way to say this. Traditional publishing is dead, and it won’t be long until the burial. What used to be a relatively fair and decent industry has become a façade for money grabbing, small minded businessmen looking to make a few easy dollars. There is no budget to promote your book as far as they’re concerned. You are on your own… So… You might as well self-publish and control your own destiny. Remember, we are the drivers of the car that is this industry, and in the end, only we the people can direct where it’s heading. It’s time for us to start exploring new and uncharted territory. The self-publishing world is that uncharted territory, and it’s just waiting for you. Come and join the expedition and build your own niche, empire or cabin. So, what has been going on with Novel Ideas? 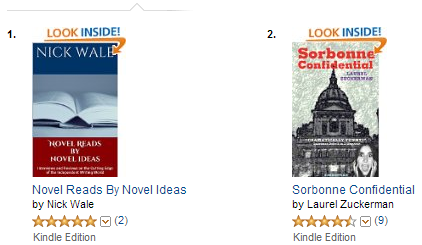 “Novel Reads By Novel Ideas” hit the number one position in America at the beginning of the month. The success this magazine has seen was unprecedented and not expected in the least. Because of the magazine sales have been climbing all over, we have created several new number one novels this month. “Novel Reads By Novel Ideas” has become one of the most influential independent magazines overnight. Hollywood movie star Alex Cord wrote to congratulate me on the magazine and this month we will be featuring a review of his bestselling novel “Days of the Harbinger.” I am sure you will love the review and the book. At the same time, I was approached to work on a brand new book from author Yveta Germano. “Bring Me Back” is currently on its way to the top. This book is one of the best new teenage fiction books to be released. What could possibly go wrong when seventeen-year-old Aliana breaks into an old mansion to find out who was hiding behind the curtain of an attic room window? Everything. Aliana’s life is turned upside down when she meets eighteen-year-old Damon, a male clone, as she struggles to grasp not only the new reality around her, but also the meaning of life itself. Damon is a fierce, unbelievably handsome man on one hand, and a cold, wildly unpredictable scientific creation on the other. When Aliana finds herself in a situation where she must trust Damon with her own life, one answer to a nagging question can mean the difference between life and death – Does a clone have a conscience and a soul? Novel Ideas has been retained by Denise Barry to promote her fantastic kids’ release “What Does The Tooth Fairy Do With Our Teeth?” This wonderful book will allow your kids to “take a sneaky peek” inside the Tooth Fairy’s world where you will be amazed and delighted by all of the fun, creative and magical things she might do with our teeth. But be warned, you may never look at the world in the same way again–not the snow, the stars, or even a chocolate chip cookie! Her first interview with Novel Ideas will appear in the next issue of “Novel Reads By Novel Ideas” due out the first week of October. 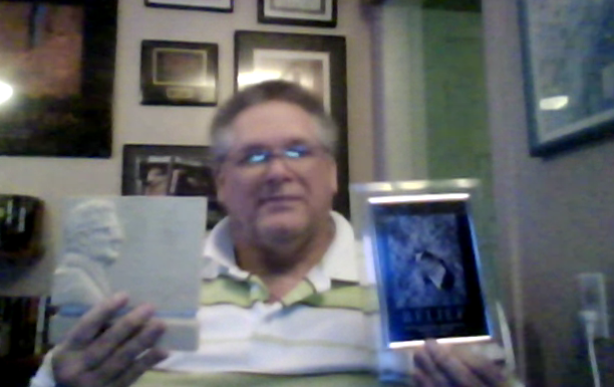 Cliff Roberts holds two sale awards awarded for sales of his novels. Cliff Roberts has been climbing higher and higher with his sales soaring. His new novel “Conch Republic” has been awarded sales awards already for its chart action. “As a writer he’s marginal at best, but as a crime fighter, he’s one of the best. Nate Nevwas is a big man who is old, fat, and handicapped, yet friendly and terminally curious.” Cliff Roberts was amazed that a book taking him away from the action adventure of the “Reprisal” series would be successful. Who were you trying to kid, Cliff? Cliff will be appearing on a major radio network in a few weeks to answer question upon question about his overnight success. Mike Trahan has been busy writing his third memoir to follow up the success of “The Gift” and “The Gift Part Two: The Airforce Years.” Mike recently appeared on a hip internet radio show “The Weekly Book Webinar” to talk about his work. The result? Trahan book sales went through the roof. The third part of his series of memoirs will surely follow. Author and charity fundraiser Tom Ufert has been working hard on the next step of his writing career. Tom has already had great success with his inspirational memoir “Adversity Builds Character” and his number one bestseller “On The Roll.” This month he has been hard at work raising money for his charities of choice. Tom will be celebrating 21 years of “overcoming adversity” later this week. Boyd Lemon has recently announced that he will be releasing a fiction book by the end of this year. 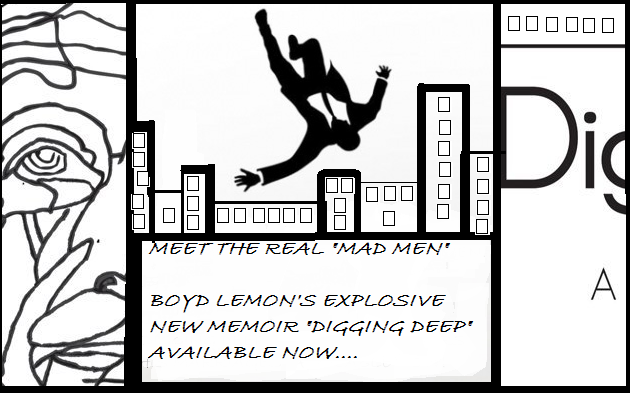 Sales for his “Mad Men” style memoir “Digging Deep” have been exceptionally strong, and Boyd will be appearing in this month’s “Novel Reads By Novel Ideas” e-magazine to promote his upcoming release. You will not want to miss this one! Hollywood writer RJ Smith recently gave copies of his bestselling novel “The Santa Claus Killer” away at the Emmy’s. RJ has been riding a tidal wave of success since his entry into the book world, and he has spent much of the year touring to promote “Killer.” There is news of a new RJ Smith release in the future, and it may be a very wet read. “The bad boy of happiness,” Patrick Mcmillan, has announced that he will be releasing a new book this year. Hopefully a follow on from his successful “Happiness for Kids” volume. Hitmaker Charlie Flowers has been busy this month with three of his books all racing to the top of the bestseller list. The biggest of the three could well be his first release “Hard Kill.” Charlie has been promoting this book all month and will be heading back to work on the fourth installment next month. The next issue of “Novel Reads By Novel Ideas” will be released early next month. This month will see interviews, short stories and articles from all over the writing world. I think you will love it… I know I do. Some Novel News… | Nick Wale at Novel Ideas | Hey Sweetheart, Get Me Rewrite! “I’ll Be Damned,” Remarks Hitmaker Boyd Lemon | Novel Ideas | Hey Sweetheart, Get Me Rewrite!